In today's highly competitive global marketplace, most companies have come to realize that a targeted marketing campaign can separate them from the competition. Marketing analytics is an effective vehicle on the road to building brand awareness. Unfortunately, one major component of marketing analytics that can be instrumental in closing deals is largely ignored. 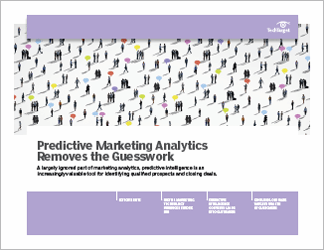 Predictive marketing analytics identifies qualified leads, determines customer behavior and nurtures long-term customer relationships -- in other words, it can improve and complete the customer journey. 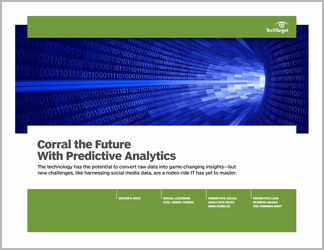 This marketing analytics handbook examines predictive analytics and the myriad tools available to marketing and sales reps. But before investing in predictive marketing analytics technologies, consultant Steve Robins advises that the starting point is not in the ROI, but in setting business goals. Determining objectives such as increasing ROI, improving lead quality, measuring customer conversion rates and supporting sales models is one thing, he says, but devising a bona fide strategy and executing on it is an entirely different matter. In the second feature, news writer Jesse Scardina looks at a changing marketplace where customers have more control over the buying process. 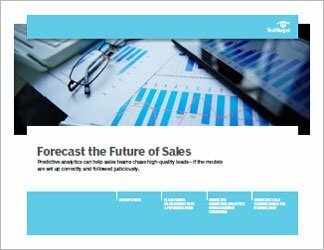 The increasingly important role of predictive intelligence is seen through the eyes of a predictive analytics company's CEO who says, "The power of predictive is to get in front of buyers before they become a lead." 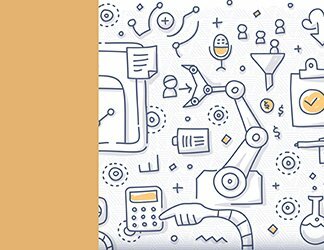 In the third feature, editor Lauren Horwitz reports how the venerable Royal Bank of Scotland reorganized its business units and used predictive marketing analytics technologies to tailor messaging and upsell customers.